Journeys take many forms. Some of us, such as Ainsley Walker, embark on explorations of the exotic, the dangerous, the unfamiliar. For others, however, a journey is a return to something they’d loved, a place once known well but long forgotten. 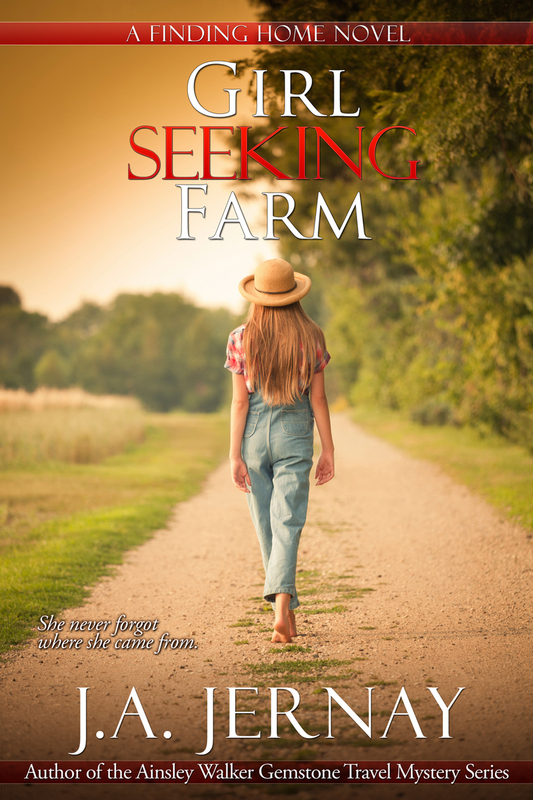 GIRL SEEKING FARM, my newest book, is one of those other kinds of travel stories. It’s the first title in the Finding Home series. … changes everything. Her grandmother has suffered a stroke, and the family farm needs Jessica’s help to survive. Ditching the fancy heels, Jessica soon finds that life in the country isn’t quite the cakewalk that she’d remembered—not with new responsibilities to meet, new technologies to learn, and new battles for respect. And her most difficult task of all … will be facing the painful secrets of her own troubled past. Roll up your sleeves … and begin a journey into the story of one woman who longed for a different, more traditional way of life. A contemporary women’s novel by J.A. JERNAY, the author of the Ainsley Walker Gemstone Travel Mystery series. Approximately 51,000 words. It’s available from Amazon, Nook, iTunes, and Kobo. Buy it now.